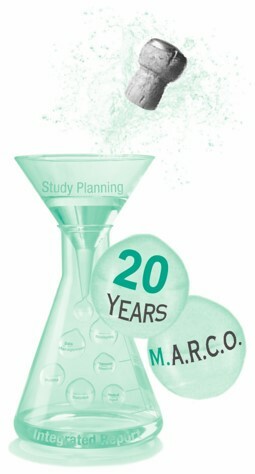 We are pleased to announce that M.A.R.C.O. is celebrating its 20th anniversary today! Starting with a group of 6, we have rapidly grown to about 30 dedicated clinical research professionals. During the last 20 years, we have supported over 1000 studies/projects for more than 100 customers, some of them even from our foundation up to now. It is you who made it possible to come so far, and it is your excellent collaboration that makes us enjoying to work and to contribute to your projects. As we celebrate, we express our heartfelt gratitude to all of you.